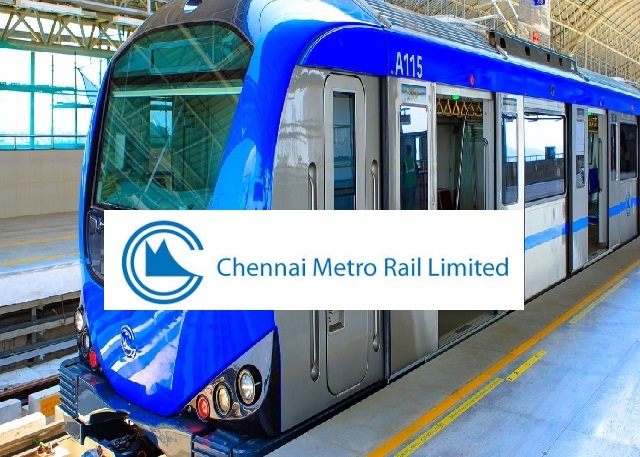 CMRL-Chennai Metro Rail Limited Recruitment 2018-2019 Application Form for 02 Draftsman, Resident Engineer Posts Download Application through Official website www.chennaimetrorail.org. CMRL Draftsman Jobs Notification 2018 Released. The Interested and Eligible Candidates are requested to Download Application through Official website. CMRL- Recruitment 2018 Draftsman Posts Salary-Rs.90,000/- || Apply Online. Resident Engineer (Civil) - Candidate must possess Graduation in Civil Engineering from a reputed University /Institute recognized by Govt. and should possess minimum 10 years of experience in Executive cadre in execution of large Infrastructure projects preferably / Railways / Metro Rail Project. Draftsman - Candidate must possess Diploma in Civil Engineering from a reputed Institute recognized by Govt. and Diploma in CAD. Should possess minimum 5 years of experience preferably in large Infrastructure projects / Railways / Metro Rail Project. The selection methodology comprises two-stage process, interview followed by Medical examination. The selection process would judge different facets of knowledge, skills, comprehension, aptitude and physical fitness. a) Medical Examination: Expenses for the first time medical examination of the candidate will be borne by CMRL. However, in case a candidate seeks extension for joining, then the second time medical examination expenditure will be borne by the candidate. To & fro travel expenses for the medical test shall be borne by the candidate. The candidate who fails in the prescribed medical test will not be given any alternative employment and decision of CMRL is final on this issue. Candidates who fulfill the above requirement may appear for walk-in- interview along with duly filled in application form (application form available in page no.4 to 6) supported by Bio-Data and one set of self-attested copies of certificate of educational qualifications, age, experience, community and latest passport size photograph. Candidates are required to bring all the original certificates for verification. "CHENNAI METRO RAIL LIMITED, CMRL DEPOT, ADMIN BUILDING, OONAMALLEE HIGH ROAD, KOYAMBEDU, CHENNAI - 600 107."